The UK is set to miss out on €7.6bn profit share from losing access to the European Investment Bank due to Brexit, a House of Lords committee has warned. The committee accused ministers of doing nothing to rescue the potential windfall. It also called on the Government to establish a UK infrastructure bank to replace the European institution. The Lords EU Financial Affairs Sub-Committee pointed out that after Brexit the UK will lose access to the the European Investment Bank (EIB), from which the country’s infrastructure has benefited to the tune of more than €118bn in lending since 1973. 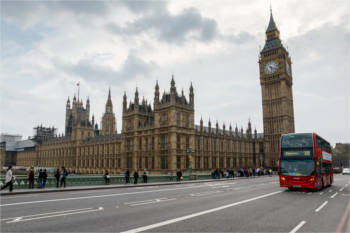 The committee said the Government should explore the possibility of establishing a UK infrastructure bank within its infrastructure finance review and, depending on the outcome of this review, it should be part of its National Infrastructure Strategy. Committee chair Baroness Falkner of Margravine said: ‘For the last 45 years the UK has relied on the European Investment Bank to invest in all manner of vital infrastructure projects such as Crossrail, London’s “Super Sewer”, the expansion of Manchester’s tram network and Scotland’s Beatrice offshore windfarm. ‘The UK’s infrastructure, and the industries that depend on infrastructure spending, will be hurt if the Government does not quickly find a way of plugging the funding gap that will be created if access to the EIB is lost after Brexit. The committee said there has already been a marked decline in funding from the EIB since the 2016 referendum but that the Government has said little about any future relationship with the EIB or possible domestic alternatives. A spokesperson for the National Infrastructure Commission said: ‘Today’s report echoes the findings in our National Infrastructure Assessment - the first ever for the UK - and the need to maintain investment in our infrastructure. ‘Like the committee, we’ve recommended that, without access to the European Investment Bank post-Brexit, an alternative financial institution will be needed.